James Roland Hinds, a historian, novelist, and prominent volunteer in historic preservation efforts, died Tuesday at Nate Adelson Hospice in Las Vegas after a brief illness. He was 77. James Roland Hinds, a historian, novelist, and prominent volunteer in historic preservation efforts, died Tuesday at Nathan Adelson Hospice in Las Vegas after a brief illness. He was 77. Hinds was born in Okmulgee, Oklahoma, on Dec. 8, 1937. His parents became federal civil service employees in Washington, D.C., and Hinds spent part of his boyhood playing in trenches built to defend the capital during the Civil War. Growing up in places where history was made fostered a lifelong passion for it. He attended American University, graduated from Washington University in St. Louis, and received a master’s degree from Southern Illinois University in 1964. From 1964 to 1966, he served in the U.S. Army, where he excelled at marksmanship. In 1966, Hinds joined the U.S. Park Service and became a historian at the restored home of Frederick Douglass, the escaped slave who became one of the most effective and eloquent advocates of the movement to abolish slavery. 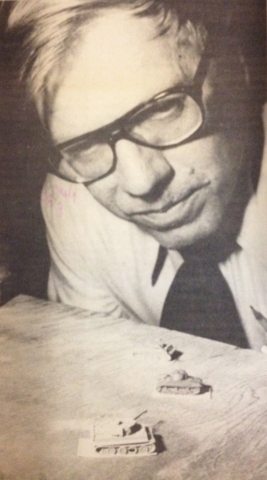 From 1969 to 1970, Hinds was a staff historian at the U.S. Army Aviation Systems Command in St. Louis. Since 1970, Hinds had lived in Las Vegas, where he was historian for the U.S. Air Force Tactical Fighter Weapons Center at Nellis Air Force Base from 1970 to 1985. He retired after 20 years of federal service. In his earlier years in Las Vegas, residents occasionally noted Hinds’ resemblance to a young Theodore Roosevelt — not merely in similar historical interests, but also in height and build, their wearing of outdoor clothing and thick spectacles, and their refusals to allow weak eyesight to deny them vigorous lives. Hinds was an officer of the Southern Nevada Living History Association and, well into his 70s, often dressed out for encampments in Civil War uniform, with appropriate small arms, and performed the manual of arms by the correct 19th-century numbers. He helped run the Civil War encampment at Spring Mountain Ranch, which for a decade has drawn as many as 350 participants annually from throughout the Southwest. He was also responsible for expanding the history association’s original Civil War program to include reenactments concerning ancient Rome, the War With Mexico, the Spanish-American War, and World War II. A capable swordsman, he was part of a core group that popularized the sport of fencing in Las Vegas starting about 1980. Hinds was formerly active in the Southern Nevada Historical Society, and helped found the Preservation Association of Clark County. He was one of those responsible for preserving and restoring the Mormon Fort, Las Vegas’ most notable historical site, and later worked as a docent there. He was a member of the Council on America’s Military Past and of the Sons of the Union Veterans of the Civil War. An authority on military history especially, Hinds published books and articles on subjects including the legions of ancient Rome, field fortifications of the musket era, the Mexican Revolution of 1910 to 1920 and the Falklands War of 1982. Recently he published his first novels, a fantasy series called “The Vampire State” set in a future Nevada secretly run by drinkers of blood. Hinds was fluent in Spanish and Latin. 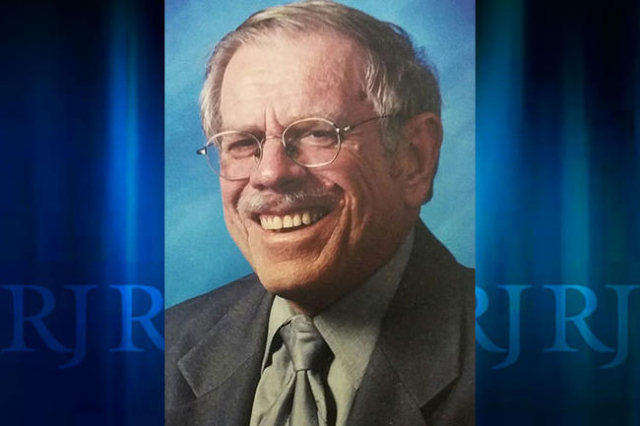 He taught and tutored both languages at the College of Southern Nevada, where he had also taught history. Hinds attended Advent United Methodist Church. In 1980, he married Yolanda Cruz, a Colombian he met in Mexico City. She became a U.S. citizen and until her retirement taught in Clark County schools. They have one son, Roland Hinds. Besides his widow and son, Hinds is survived by his mother, Ina Alice Richardson Hinds, who is 104.